I really do hope that I have identified this derelict building correctly. 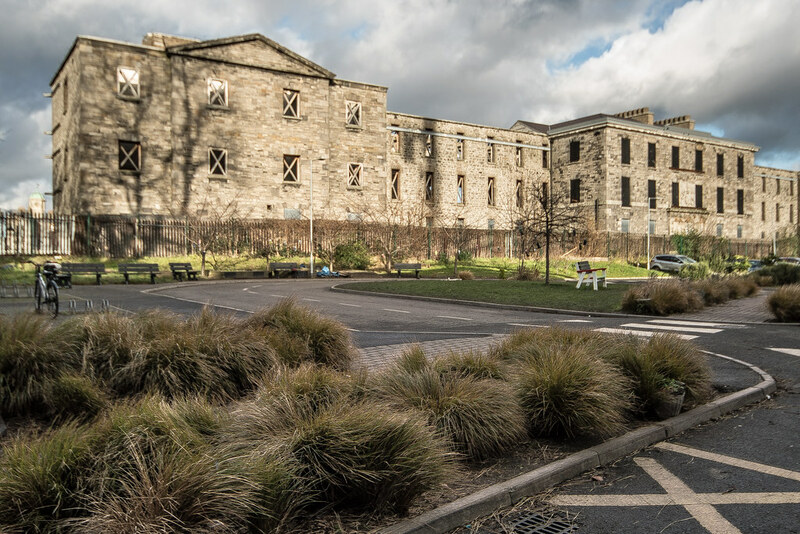 According the the Grangegorman Development Agency this three-story structure built in 1810. will be restored and converted into a space that could serve a variety of research or office uses including perhaps a portion of the Science and Industry Centre. To me that sounds a bit vague. The Richmond Asylum is the oldest surviving building on the site for the Dublin Institute of Technology campus at Grangegorman, Dublin. Built to designs by Francis Johnson in the early 19th century, the original building was a quadrangular complex with a three-storey over-basement central block, long wings to both sides and pavilions at either end. The building which became part of St Brendan’s psychiatric hospital was vacated in the late 1980s. Sections of the building were demolished shortly afterwards. Unfortunately what remained suffered greatly from dereliction and vandalism. St. Brendan's Hospital is the oldest public psychiatric hospital in Ireland. In 1810, the governors of the Dublin House of Industry, which occupied an adjacent site to where the Richmond Lunatic Asylum would be built, together with the physician Andrew Jackson, succeeded in gaining a grant from the government to establish a separate asylum from the House of Industry. It officially opened as the Richmond Lunatic Asylum in 1815, although it had received its first patients from the lunatic wards of the nearby Dublin House of Industry in the previous year. It was named after Charles Lennox who was the Duke of Richmond and Lord Lieutenant of Ireland (1807-1813). Initially, it was established as a national asylum to receive curable lunatics from throughout the island of Ireland. From 1830, however, it was incorporated into the district asylum system. Thereafter it was renamed the Richmond District Lunatic Asylum and its catchment area was defined as the city and county of Dublin, the counties of Wicklow, Louth, Meath, and the town of Drogheda.